Labour brokers may be charging Chinese miners up to $16,000 for the chance to work in Canadian mines as temporary foreign workers, a CBC investigation has found. The National visited a prominent recruitment agency in Beijing carrying hidden cameras. Investigators posing as miners learned that workers with minimal mining experience are being offered positions in Canadian gold, copper and potash mines. A recruiter makes promises to a CBC investigator posing as a potential employee. (CBC)Recruiters said that, once working in Canada, miners would be paid no less than $10 per hour. Permanent workers in Canada’s underground and surface mines are paid on average $25 to $30 per hour. Investigators also learned that workers are asked to pay a deposit of several thousand dollars to secure a spot in a Canadian mine. The agency said that the remainder of the $16,000 fee is taken directly from the miner’s paycheque until paid in full. The recruiters claim that the deduction occurs with the knowledge of the employer, although the agency provided no proof that it was acting on behalf of a specific company or business. In Canada, it is illegal for employers to charge recruitment fees to temporary foreign workers. In a written statement to the CBC News, Human Resources and Skills Development Canada explained that "an employer who has requested the services of a recruiter is required to cover all recruitment costs related to the hiring of the temporary foreign worker." Unscrupulous recruitment agencies have long been one of the most serious issues surrounding the much-criticized foreign workers program, says MP Olivia Chow. In 2009, as part of a standing committee on citizenship and immigration, Chow co-authored reports that made recommendations as to how Ottawa could better protect a swelling temporary workforce. There are currently over 300,000 temporary foreign workers in the country, a number that has almost tripled since 2002, according to Citizenship and Immigration Canada. Other, more inclusive CIC figures, show that the number of temporary foreign workers in Canada grew from 186,753 in 2001 to 446,847 in 2011. The province of Manitoba, which employs 1.6 per cent of the temporary foreign workers in the country, has enacted comprehensive legislation to try to protect its temporary labour force, including fines for inadequate pay and poor working conditions. A recent change to the federal program has shortened the amount of time it takes to approve foreign temporary visas. That change was welcomed by British Columbia Construction Association president Manley McLachlan, who sees an immediate skills shortage in a province with an aging population, $240 billion in new construction projects, and low unemployment. "We need those workers to build the mines and the malls and any other facility so that the folks who are here in Canada have jobs going forward," says McLachlan. But a program so valued by Canadian business does not adequately protect the welfare of workers, worries Chow. Her concerns are echoed by Karl Flecker, the director of human rights at the Canadian Labour Congress. "I would describe the temporary foreign workers program as a corporate-driven public policy," Flecker says. "They are working hand and foot with employers to be able to exploit people." Immigration Minister Jason Kenney dismisses many of the criticisms as myths perpetuated by big labour unions. 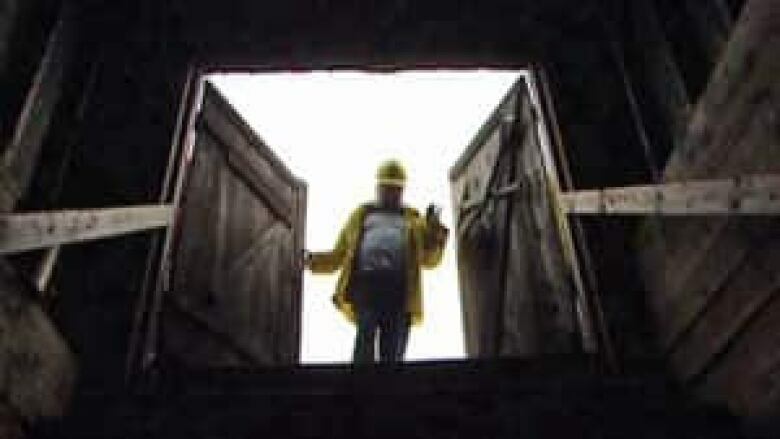 A worker enters a Canadian coal mine. (CBC)In reality, the federal program is one that Canadians should feel proud of, he told CBC News. "What I have found is people are very happy to have the opportunity to make very decent money in Canada and very happy with the fact that the vast majority of Canadian employers are good, honest and decent people." But labour activists such as Flecker remain unconvinced. "We have this long history of importing others for deadly and dangerous dirty work for someone else’s profit and I think that most Canadians recognize it’s an ugly part of our history," says Flecker. "We don’t want to repeat that." Quiz: Would you qualify to come to Canada as a skilled worker?